The Master of Business Administration (MBA or M.B.A.) is a master’s degree in business administration. The MBA degree originated in the United States in the late 19th century. The core courses in an MBA program consist of key areas of business such as accounting, finance and marketing. In recent years many Business Schools have started to offer specialised MBA programs or MBA programs aimed at special target student group, such as engineers. MBA degrees are offered as full-time, part-time, distance learning, online, modular or executive programs. Full-time MBA programs are usually run as one year or two year programs. Part-time MBA program are mainly offered over 2 or 3 years. Distance learning, modular and online programs are also offered over a 2 or 3 year period. Some countries such as Germany or Italy offer MBA programs in German or Italian only aimed at local students. The majority of MBA programs are conducted in English. Almost every country in the world is home to at least one business school. Several countries have more than 100 business schools to choose from. Many Business school aim for accreditation of their school or MBA program by external agencies in order to provide students and employers with an independent view of the business school or program’s quality. The tuition fees of MBA programs are usually much higher than for other business master programs. 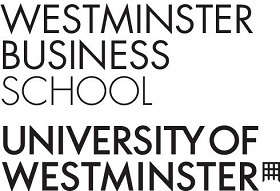 Business Schools often offer scholarships that cover all or part of the tuition fee.